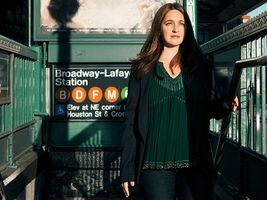 XIAN ZHANG conductor SIMONE DINNERSTEIN piano NEW JERSEY SYMPHONY ORCHESTRA Simone Dinnerstein “compels the listener to follow her in a journey of discovery filled with unscheduled detours” (NPR). Join her as she explores Mozart’s supremely melodic Piano Concerto No. 23. WALTON Suite No. 2 from Façade Sassy, comedic and very British; in its debut, poet Edith Sitwell sat behind a screen and recited her poems set to music through a megaphone, scandalizing the audience. MOZART Piano Concerto No. 23 Warm and tender; its sublime, melancholy Adagio speaks of heartbreak and acceptance. MOZART Symphony No. 40 Mozart’s second-to-last symphony crackles with a powerful dramatic tension, a musical “appeal to eternity” as his life was cut short.